Today’s technology has made us impatient if we need to wait for information or answers. Yet, all of us have had to wait in line at the grocery store, wait at a traffic light, wait for test results, wait for answers to a prayer, or wait to hear from a loved one. The list could go on and on. What is most important is how we do the waiting. The season of Advent, which begins this coming Sunday, can teach us a lot about waiting. We waited a long time for the Messiah to come and when he did, it may not have been how we thought he would come. How do we wait? I think waiting is a lost art. We can become so impatient when we have to wait. Surely you have tapped your foot or sighed when someone was taking too long to purchase something or couldn’t find their cash or credit card. I’ve been there. How will I spend my Advent? Will it be in joyful waiting or in frantic preparation and shopping filled with anxiety? As we age, and wisdom hopefully starts to take its place in our life, I believe we begin to see the value of waiting and what is really important in our lives. 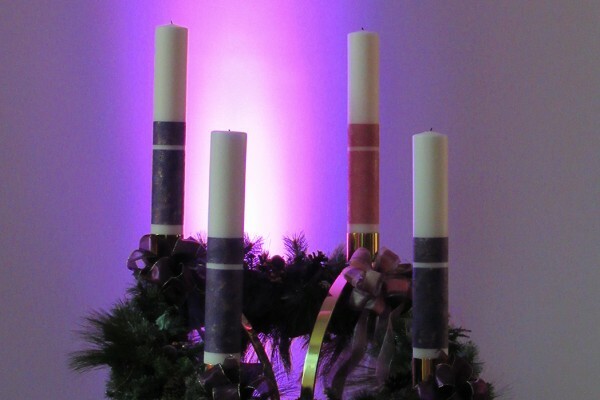 I know that it will be a challenge but I hope that I can begin to wait in patience this coming Advent. I am sure many opportunities will present themselves. Am I willing to wait in hope for the birth of the Messiah along with the joy it brings? I hope so!